The complete guide to racing drones. Over the last few years, drone racing has really gained some traction and popularity. What started as a dedicated group of DIY hobbyists on YouTube has quickly blossomed into an ESPN broadcasted sport. Although still in its infancy, the sport already has a professional league and yearly competition that’s divided by season. The Drone Racing League features the best pilots from the drone racing world, who pilot custom-built drones that exceed speeds above 80 MPH while navigating through obstacles and courses. Although these pilots are exceptionally skilled, the same technology that they use is obtainable for hobbyists and fans. Drone racing is exhilarating and really gets your adrenaline pumping. But what really sets it apart from more traditional racing sports like NASCAR, is that the technology is absolutely in your price range. 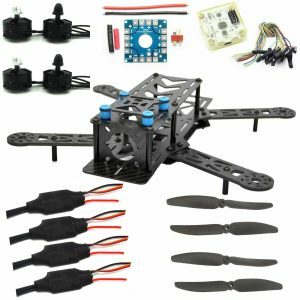 Should I Buy or Build a Racing Drone? A racing drone is small UAV (unmanned aerial vehicle) that is built specifically for racing. 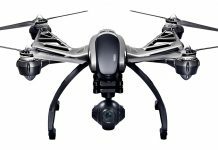 These drones are usually quadcopters that provide an FPV, or first person view, that allows the pilot to see what the drone sees. 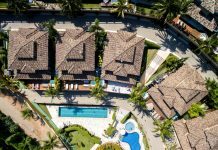 Racing drones is one of the most adrenaline pumping activities that you can undertake legally today. 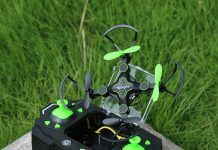 So it’s only right that you know the ten best racing drones for you to consider buying to make your entrance into the world of drone racing. So, what makes it a racing drone? There are a few key features that separate racing drones from non-racing, regular drones. The most important differentiating factors include the size, material, and camera. Racing drones are generally smaller in size when compared to their non-racing counterparts. Everything is smaller including the frame, propellers, and motors. 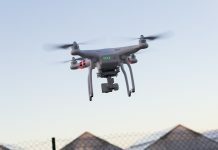 Since the weight of an object affects the speed at which it can move, a smaller drone is able to move faster than the normal drones that are marketed to photographers, cinematographers, and consumers. 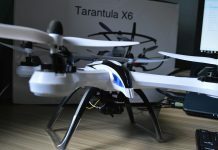 In addition, the smaller size of racing drones makes it much easier for a pilot to navigate through complicated race courses that are often filled with obstacles. When it comes to racing, you really want your drone to be as lightweight as possible. To keep the weight to a minimum, racing drones are made from carbon fiber. Carbon fiber is very lightweight and durable, so the drones can fly fast, maneuver quick, and keep damage to a minimum in the event of a crash. 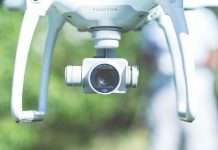 Many drones on the market today are marketed to photographers and videographers, so they are equipped with high quality HD cameras that are designed to capture the best photographs and videos possible. Racing drones, however, utilize FPV cameras. FPV, or first person view, cameras are mounted directly on the front of the drone and look straight ahead. The video feed from the camera is then broadcasted to the pilot in real-time, either to a screen or to FPV goggles. The real-time FPV video feed allows the pilot to navigate around courses and obstacles by seeing exactly what is in front of the drone at all times. New non-racing drones are equipped with some truly awesome new technology and features. Many of them have the ability to hover, return-to-home functions, obstacle avoidance, and more. Racing drones, on the other hand, are stripped of all of these features. In the racing world, there’s only one feature that truly matters — and that’s speed. Anything else that would be included in the drone would only increase its weight and slow it down. To really experience the full adrenaline rush of drone racing, FPV goggles are essential. When the camera on the front of the drone sends a live video feed directly into a pair of immersive goggles, the pilot sees exactly what the drone sees. The video feed is in real time and allows you to react immediately. 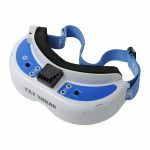 Essentially, the FPV goggles allow you to feel as if you’re piloting the drone directly from its cockpit, or as if you yourself were flying through the air. There’s two main types of racing drones that you’ll come across. 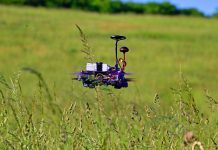 RTF drones (ready to fly) and DIY racing kits. Ready To Fly drones require no assembly and can be flown as soon as you remove them from the box. If drone building isn’t a hobby or interest of yours, this can be super convenient and is definitely the way to go. There are, however, a few disadvantages when it comes to buying an RTF drone for racing. Unfortunately, they’re not upgrade-able without buying a whole new model. They also aren’t customizable like the DIY racing kits are. In addition, the general consensus seems to be that the ready to fly drones aren’t quite as fast as the racing kit drones. Racing Kit drones do not come assembled at all. You’ll have to piece together the tiny parts yourself, which requires wiring, soldering, and a bit of electronic knowledge. 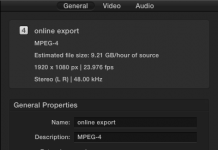 Thankfully, there’s a ton of YouTube tutorials that can walk you through the entire process. Many hobbyists love building their own drones and get a lot of satisfaction out of seeing their finished product soar through the air. Those same hobbyists will also claim that their racing kit drones are a bit faster than the drones of those RTF punks. The Eagle is an affordable drone that offers plenty of great features for when you’re out flying. 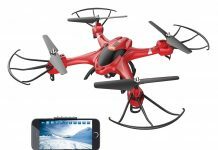 Coming in at just $44.99 it is one of the cheapest racing drones on the market. With a 720p HD camera and the ability to fly in FPV mode it offers you the ability to practice your flying without breaking the bank. 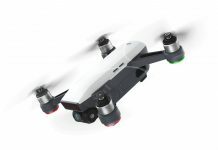 You will only get 20 metres of range from the controller, but this drone is great to get you started if you are interested flying on a budget or you want a cheap drone to use for practice. The RISE Vusion 250 Racing Drone is an absolute beast of a machine. Offering a FPV flying experience the 5.8ghz radio transmitter ensures that you can see everything that is happening in real time while you fly. 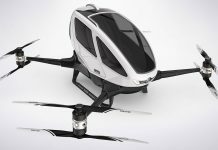 Costing a reasonable $349.99 it provides a high quality flying experience for a reasonable price. It comes with a screen and goggles so you get the full flying experience. The body is also impact resistant so if you crash you don’t have to worry about burning as well. 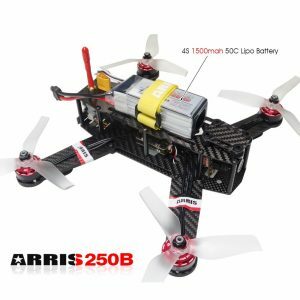 The Arris C250 is a super light drone that gives you amazing levels of control without sacrificing stability, the light frame also means that greater levels of speed can be teased from the C250. It is made from carbon fiber so offers excellent levels of strength if you lose control at any point and crash. The camera is adjustable so if you don’t like the view you are getting when flying in FPV mode you can alter it exactly to your tastes. All of this comes in at a modest $299.98 so you won’t be breaking the bank either. The Arris X-Speed is just like the C250 model made from carbon fiber. Once again this makes it both lightweight and durable. The arms on the X-Speed are also double plated. This means that the X-Speed is slightly heavier than the C250, but the arms are much more damage resistant which if you want to keep your money in your pocket is much better in the long term. The camera is adjustable as well as including a damper plate to limit the changes made by in flight vibrations. The price of $299 is once again a reasonable price for a model that offers excellent functionality. The DJI Spark Drone is packed with innovative features that will ensure that you get the most enjoyment for your money. With the ability to pay less and use the onboard WiFi to control the Spark with your phone instead of a controller it allows those on a budget to access this drone. The WiFi only has a range of 100m though, so if you want to take things a little further it is worth buying the full kit to get the controller. 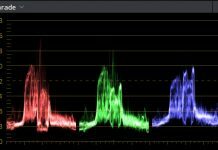 The Spark also has the ability to be controlled by hand gestures seen via the onboard camera. It recognizes your face so your friends can’t start messing around and moving your drone around, this is great for getting it ready before you fly as you can just move your hands for whatever commands you need while you sort out all of your flying gear. Built in obstacle avoidance technology ensures that you won’t have any unwanted accidents when using the hand control mode. 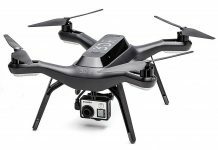 Coming in at $699.99 it is a little steep, but this drone is feature rich and flies like a dream. The Walkera Rodeo 150 offers 5.8G image transmission which means you get crisp high definition images in real time. 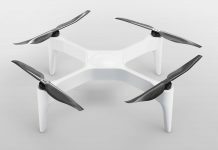 This gives you a great FPV flying experience that is almost like sitting on the drone yourself. The price of $229 is absolutely fantastic, especially with the speed the brushless motor offers. With sharp turning the Rodeo 150 is even suitable for indoor use. As the name suggests the LHI 220 is a fully carbon fiber racing drone that offers incredible durability while also being incredibly light. With a great price of $185 it is both affordable and fast. While the Rodeo 150 may offer more stability the LHI just shades it when it comes to pure, raw speed. The Tarot TL130H1 is an ultra light drone that gives you the opportunity to fly at ridiculous speeds without losing control and stability. It manages to do all of this for the incredible price of $119.99. The mini camera is adjustable for FPV flying from the angle of your choice, the Tarot offers a great flying experience for a low price. The DJI Mavic Pro costs a wallet melting $999.99 but you do get an amazing machine for your money. 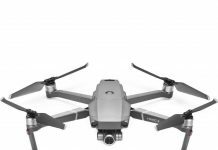 With a range of up to 7km you will need the FPV mode to get the most out of you Mavic Pro. It doesn’t just fly far away either, with speeds of up to 64km/h you will be out of range in less than 7 minutes if you’re not careful. 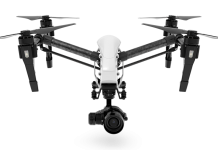 The inbuilt camera offers 4K video and the obstacle avoidance technology means that you won’t have to worry about dinging your expensive drone when you are first getting to grips with it. If you are serious about racing drones, then this is the drone for you. 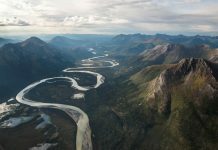 Before you can get up there and start flying, you have to decide whether you’re going to buy a ready-to-fly (RTF) drone or build your own DIY quadcopter. Let’s take a look at the pros and cons of each. Building your own drone has several advantages. In most cases, it is less expensive to build a drone than it is to purchase a ready-to-fly drone of the same caliber. Building your own drone also allows you the ability to customize the way it looks. When it comes time to repair or replace parts on your drone, it is significantly easier and cheaper to fix a DIY drone. Building your own drone requires some technical skills, since you’ll be assembling and soldering small parts. So if you don’t think you’re capable of learning the necessary technical skills, you may want to opt for a pre-built quadcopter instead. YouTube is a great resource for learning and has hundreds of video tutorials that can walk you through the drone assembly process. When it comes to racing, speed is obviously the most essential element. A slow drone is never going to win, so ideally you want your drone to pack as much power and speed and possible. With great speed, comes the need for exceptional controls and maneuverability. When you’re flying through the air at top speeds, you are going to need the ability to make sharp turns and quickly avoid obstacles. The ability to maneuver effectively depends on your controller’s sensitivity, your drone’s response time, and your own piloting skills. 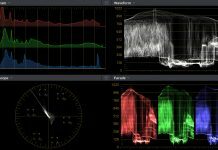 As drone technology has progressed over the last few years, battery life and flight time aren’t much of an issue when it comes to drone racing. Even the batteries inside of small drones last several minutes, and drone races are usually only a few minutes long. Essentially, you will want to make sure that your battery provides a flight time of at least ten minutes. When your drone is flying at top speed, collisions and crashes can sometimes occur. If you want your quadcopter to survive, make sure it’s built out of strong, durable materials. We recommend using a carbon fiber frame, which is both durable and lightweight. It’s very important to be able to see where you’re flying. Racing drones are usually equipped with FPV cameras to help the pilot navigate. While the quality of the camera is not so important, you definitely want to make sure that the FOV (field of view) is wide enough that you can see and avoid objects and obstacles. 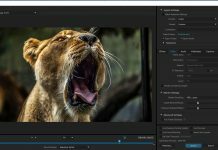 In addition, you need to make sure that the video transmission has a long enough range, a solid connection, and as little video delay as possible. Thanks for reading our in-depth guide to drone racing! Drone racing is an amazingly fun hobby. It has a great community where you’ll meet a lot of passionate and friendly hobbyists. So get out there and get flying, pilot! Remember, the most important thing is to have fun. Want more? Check out our breakdown of the best mini drones! 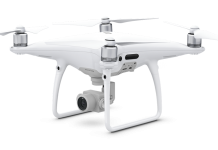 Next articleEnter to Win a DJI Phantom Pro 4 Drone!